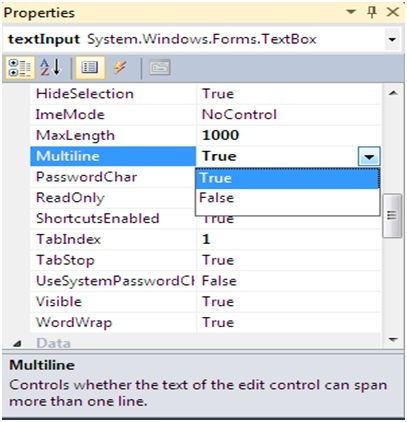 C#.Net - TextBox.Multiline Property with Example: Here, we are going to learn about the Multiline property of TextBox Control in C#.Net Windows Application Development. Here we are demonstrating use of Multiline property of the TextBox Control. 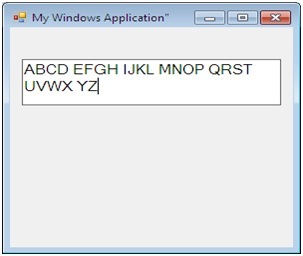 In this example, we took a Windows form that contains a textbox named txtInput, we can change name of the control using name property. And we set Multiline property to True using property window, we can open property window using "F4" short-cut key for selected control.